TV news reports of school cyber incidents are quite telling: sometimes for what they report, sometimes for how they report, sometimes for what they omit. In every case, they tell the story with emotion, which is something that the K-12 Cyber Incident Map does not do well. In an effort to make the Map more user friendly, I moved my curated list of select recent TV news reports of K-12 cyber incidents to their own page. If you haven’t checked it out yet, the dozens of stories are quite something taken all together. FYI: this is the 202nd U.S. K-12 cyber incident that I’ve identified since the start of 2016. (And, yes – of course – ransomware is a type of malware, contrary to the district’s claim.) If this doesn’t get you thinking about the security risks of schools collecting and managing sensitive data, I’d submit you may not be paying close enough attention. Farmworker families often have to move from state to state to find work, and that makes school challenging for their kids. For over 40 years the Wyoming Department of Education (WDE) ran a program to support this vulnerable student population, but that has come to an end - in part because of student data privacy concerns. It’s going to take the mass consumer market years to catch up to all the innovation in the augmented reality and virtual reality marketplace, according to a panel of experts at the University of Texas at Austin. Nonetheless, they contend that its killer app will be education. Nancy Flanagan writes: "It's easy to bend your principles, when you're trying to please someone powerful. Someone with a high-profile brand, who's promising you a whole range of benefits and admiration that will never come your way in the classroom. Beware. There's no such thing as free." According to cybersecurity vendor Radware, the education sector is among the least ready of any industry to withstand a cyber-attack. An independent school’s plans to discipline a group of students who exchanged racial and sexual slurs in leaked private Snapchat messages have raised issues of digital privacy and questions about how much schools can regulate student social media use. VCs are investing heavily in startups that tap people to make artificial intelligence better at speaking, seeing, and driving. 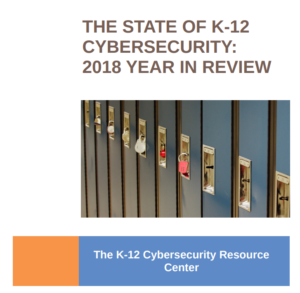 A cybersecurity vendor survey finds: "Almost half (47 percent) of teachers in the UK believe their students know more about IT than they do, and 18 percent revealed their students are able to hack into their school’s server to take or change data." TL; DR: "a lot of technical things that are sort of behind the scenes." At a recent preview event, the site captured footage showing difficulty levels ranging from "easy" for a light-skinned character to "very difficult" for the darkest skin option. "Don't worry, this doesn't affect combat," character Eric Cartman says as you operate the slider. "Just every other aspect of your whole life." Cathy Davidson writes: "Neither technophobia or technophilia is the right solution for our students. The real issue is the process of learning." The Obama administration convinced hundreds of thousands of undocumented immigrants to submit their personal information to the government for protection from deportation. Now that very same data could be used to track them down. The Student Privacy Act, which took affect on September 1, 2017, protects students’ personally identifiable information used in connection with websites, online services, online applications, or mobile applications for a school purpose. It is directed at “operators” meaning the operators of websites, online services, online applications, or mobile applications who have actual knowledge that the platform is used primarily for a school purpose and was designed and marketed for a school purpose. Audrey Watters writes: "We should ask what it means when these people are selected by ed-tech companies to be “brand ambassadors”? What does it reveal about how these companies imagine teaching and learning. teachers and students? What does it say about how these companies view “influence” and decision-making power in public schools?" To engage readers, build community, and strengthen journalism, Mozilla’s open-source commenting platform will be integrated across washingtonpost.com this summer. I eagerly await reports of whether the technology lives up to its claims, because it sure sounds promising. Cory Doctorow writes: "Making better computers won’t solve the world’s problems, but none of the world’s problems are ours to solve for so long as the computers we rely on are sneaking around behind our backs, treating us as their enemies." “I think nobody these days would suggest that becoming a supermarket point-of-sale clerk is a growth industry, but they’ve proven remarkably resistant to going away." In 2009, with little attention from abroad, the government of India launched a new identification program that has gone on to become the largest biometric database in the world. The program, known as Aadhaar, has collected the names, addresses, phone numbers—and perhaps more significantly, fingerprints, photographs, and iris scans—of more than 1 billion people. But three years after IBM began selling Watson to recommend the best cancer treatments to doctors around the world, a STAT investigation has found that the supercomputer isn’t living up to the lofty expectations IBM created for it. It is still struggling with the basic step of learning about different forms of cancer....And at foreign hospitals, physicians complained its advice is biased toward American patients and methods of care. A round up of distros that are still supported, and some that aren't. Creative Commons invites you to join the CC Global Network Open Education Platform. More and more schools are moving to a model where students have access to computing devices both in school and out – but that effort can be hampered if a student arrives home and tries to do their school work with sub-par internet service. Visiting Fellows Jonny Shipp and Dr Ioanna Noula discuss how education is responding to digitalization. They argue that relevant skills and a familiarity with the digital ecosystem are essential, but that a third outcome is also vital for a better digital life: to create citizens who are inspired, motivated and equipped to challenge institutional power and reshape the world. After reading the New York Times story on edtech brand ambassadors, Larry Cuban asked himself: "What larger issues does the story of Kayla Delzer illustrate?" Every business enterprise using information technology and benefiting from the networking power of the internet, regardless of industry or size, has a major headache to contend with that can't be ignored or avoided: security. More specifically, cybersecurity.